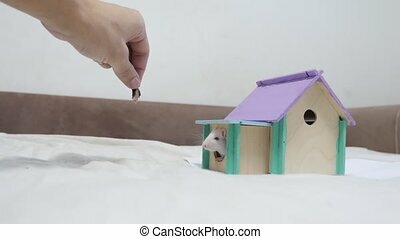 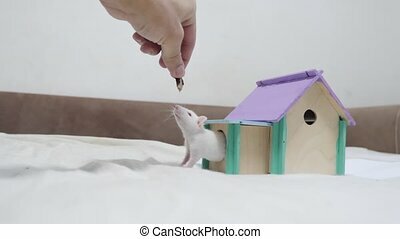 Man hand feeding a rat . 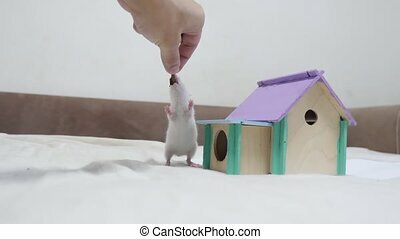 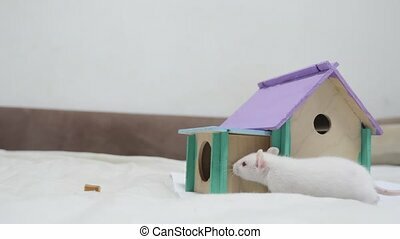 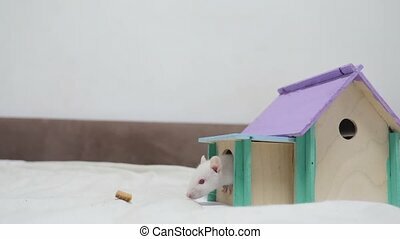 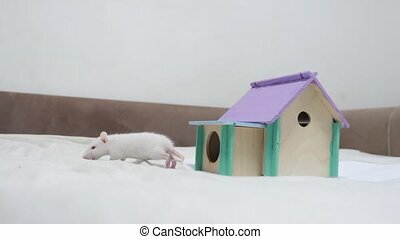 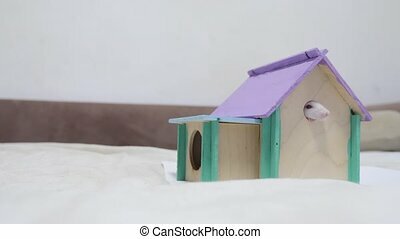 rat coming out of wooden house sniffing nose a hole cute video out of the burrow of a house and sniffs food in search of food . 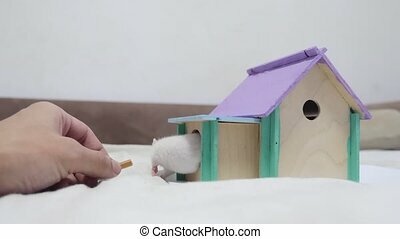 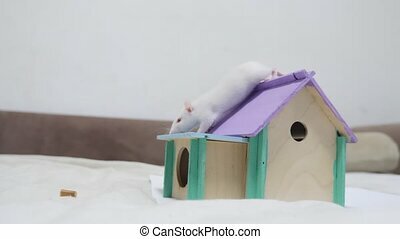 cute mouse albino rat pet goes to the house.